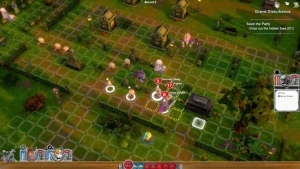 Today we have a brief peek at Super Dungeon Tactics as it will appear on the Playstation 4. Super Dungeon Tactics is going to happen soon! December 14th is the big day! Get excited for adorable tactics action!